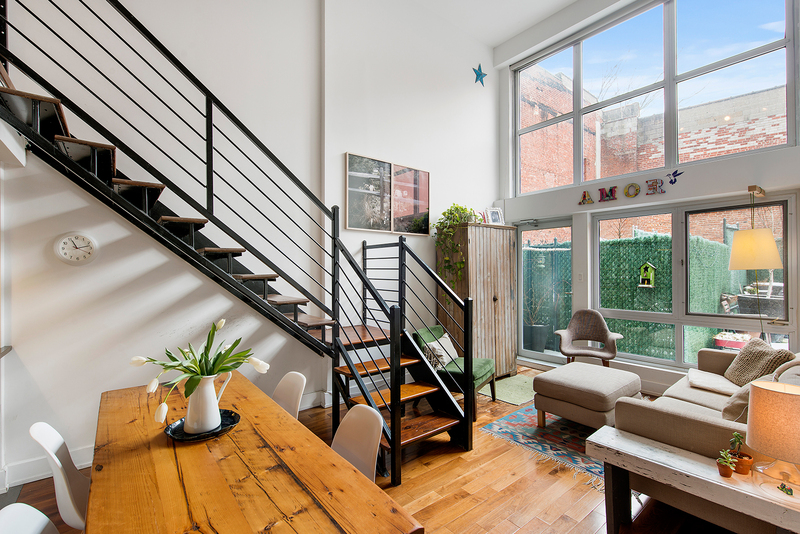 Truly unique 2-bedroom, 2-bathroom plus home office duplex loft condo in Williamsburg with an incredible 700-square-foot, two-tiered private patio. This airy and bright unit features double-height ceilings, oversized south-facing windows and walnut flooring throughout. The modern kitchen is equipped with high-end appliances, Caesarstone countertops and a breakfast bar overlooking the dining area. 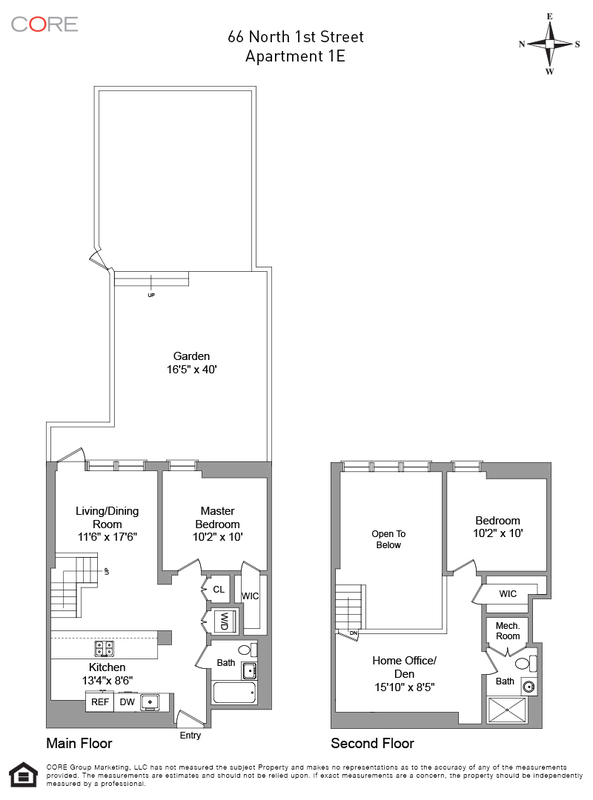 The main floor also contains a full bathroom and the first bedroom with a large walk-in closet. An iron staircase leads to the spacious loft area, currently being used as a bedroom, a second full bathroom and an additional bedroom. Abundant closets, washer/dryer and central HVAC are all included.